The trouble with transporting goods is the additional toll on the Earth’s resources and associated pollution. That applies in some shape or form to all the promotional products we list on our website and it’s a constant consideration when we secure orders overseas. Our Australian obsession with the environment isn’t necessarily shared with our trading partners – to compensate for this, we offer carbon offsetting which is the only feasible counter measure for some of our hard to source products.However in our eco friendly promotional products section, we have a dedicated Australian-Made lineup of promo items and corporate gifts that haven’t been shipped or airfreighted. We have found an increasing number of local Aussie manufacturers who can supply products that are first quality and on-budget. the other great news for the environment is that transport to your door is via local carriers. It’s a win for you and the environment, and a legacy you can highlight and bring to your clients and customers’ attention. “Made in Australia” is still regarded as a mark of quality and now bears added eco significance. We’ve found customers of ours leveraging off this feature to great effect. 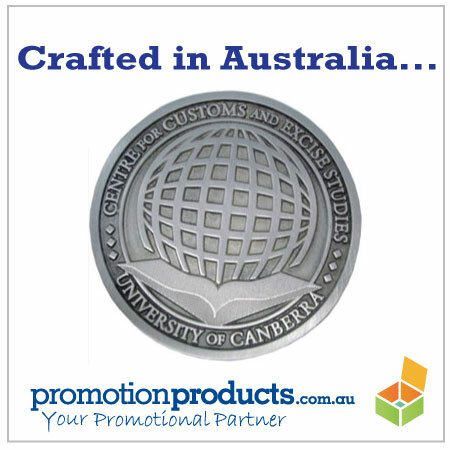 This entry was posted in Australian, business gifts, Promotional Items and tagged australia, enviro, melbourne by admin. Bookmark the permalink.